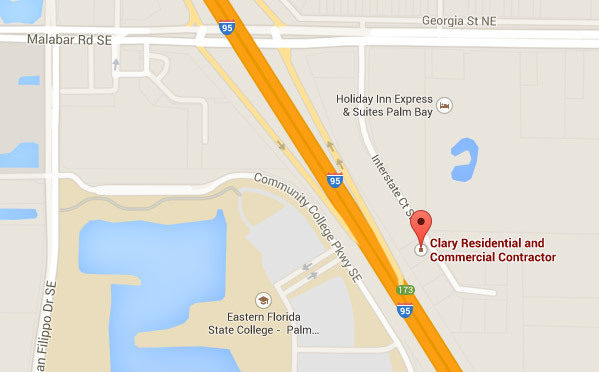 Clary Residential & Commercial Contractor - Melbourne, FL - CCC Holding Company, Inc.
CCC Holding Company, Inc. is a full service Design Builder located in Brevard County, Florida. Serving Melbourne, Palm Bay and surrounding cities. Officers of the corporation, Charles Clary and Renee Clary, hold a total of three state certified construction licenses - Building, Roofing and General Contractor. In the world of commercial and residential construction, a project successfully completed requires exceptional expertise. Our team of professionals has the diverse skills, the immeasurable experience, and a thorough understanding of the construction industry that can allow us to fulfill all our client’s construction needs from the early stages of design consultation and land acquisition through the final steps of moving in. Satisfying our customers is our number one priority and the primary reason for our excellent reputation. Your home is one of your greatest investments. It must be well built, comfortable, efficient, and it must reflect your personality. Choosing your builder is the single most important decision in protecting that investment. 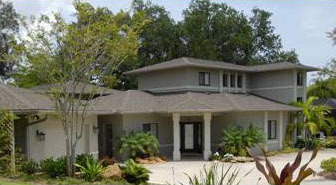 CCC Holding Company takes extra pride in crafting every new home and addition we build. Our reputation is built on a foundation of experience, integrity, and commitment to 100% customer satisfaction. 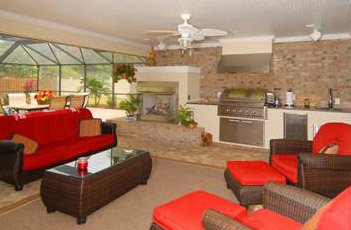 Our specialty is the addition and remodel of older homes. Many of our clients own water-front or golf course properties with irreplaceable views but out-dated homes. Our clients seek new and custom kitchens, master bedroom & bathroom suites, home theaters, game rooms and wine cellars, and extensive outdoor living facilities - unique and custom-designed specifically to fit their family’s needs. CCC Holding Company has been building homes in Brevard County for years and has gained the loyalty and respect of subcontractors, lending institutions and, most importantly, our customers. A number of our clients are in need of accessible renovations to their homes. CCC Holding Company can convert an entire home into a barrier-free environment or remodel just one area to best fit your needs. There are many subtle options that can improve quality of life such as wider doorways, lower switches and controls, spacious rooms and an abundance of natural sunlight. As well, specific items to accommodate those with limited mobility can be designed into the home including custom kitchen and bathroom designs, handrails, roll-in showers, and elevators. Whether it is an elderly parent moving in, a stroke victim trying to maintain independence, or a disabled family member in need of long-term care, we have the sensitivity and experience necessary to design and build the facilities required so your loved one can enjoy the freedom to live at home without imposed restrictions. CCC Holding Company can assist you when disaster strikes. We are prepared and experienced in handling all types of insurance claims whether it is damage from fire, smoke, wind, water, mold, vehicle, termites or any other destructive force. We use the same software as most of the major insurance companies in preparing restoration reports. This eases communication between the homeowner and the adjuster and helps the homeowner to see the highest potential of the policy benefits. As professional contractors, we have the resources to restore any damaged property to excellent condition in a timely fashion. We use local subcontractors and our own forces to reconstruct homes, office buildings, warehouses or any other type of structure to pre-loss condition. CCC Holding Company builds a number of commercial structures each year. Office buildings, warehouses, community bath houses, and even gated entrances are regular listings on our project base. The process involved in commercial construction can be different from the residential field. Owner priorities are frequently subject to unforeseen changes and that requires additional flexibility, uninterrupted dialogue with the owner, and a strong emphasis on construction sequencing. Leasing and future resale of office facilities necessitates a standard of top-quality construction to project a strong image. In addition, certain commercial projects require regulated standards and quality levels, installation of sophisticated mechanical systems, the understanding of highly technical facility plans and even rigid institutional guidelines that must be adhered to. CCC Holding Company, Inc. provides experienced, on-site project management as well as full in-house support to oversee the construction and create a facility customized to the owners’ needs. Please feel free to contact us for more information. We would love to help you fulfill your construction needs.